Akadeum Life Sciences is doing something that most biotechs don’t, says CEO Brandon McNaugton: practicing the lean startup method, which puts a heavy focus on customer discovery and feedback. It was this process of talking to customers that inspired Ann Arbor, MI-based Akadeum to develop the Application Discovery Program, a tool it uses to help customers with their research that we’ll delve deeper into in a minute. It’s an ambitious undertaking for a startup that is already working to change the way cell sorting is performed and thought about. In scientific and medical research, cells often must be separated from their surroundings—T-cells from blood, for example—before they can be studied. McNaughton says current cell separation methods can be time-consuming, costly, and damaging to cells. “We can go into biological samples and fish out specific cells for research and diagnostics,” says John Younger, Akadeum’s chief technology officer. 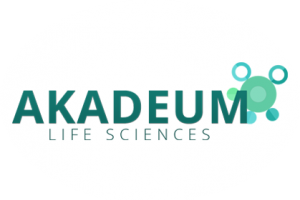 McNaughton says that Akadeum’s customers are researchers working in life sciences, diagnostics, academia, food pathogens, and cell therapy—markets that combined generate several billion dollars in annual sales, he adds. The company is currently selling bottles of microbubble reagent on its website for $400, which allow for 40 extractions. The fully developed product, to be released next year, will include both the microbubbles and an instrument used to collect the microbubbles. To help make the case for its product to customers, Akadeum has created an Application Discovery Program, where researchers can fill out a short online form telling the company what they’d like to use the bubbles for. If selected, they get early access to the most recent generation of Akadeum’s microbubbles at a discount, along with technical support..
Akadeum’s investors are enthusiastic about the Application Discovery Program, too. The company closed on a $1 million seed round earlier this month; investors included Michigan eLab, Detroit Innovate, Invest Michigan, U-M’s MINTS program, and patent attorney Jeffrey Schox. Doug Neal, managing director of Michigan eLab and one of Akadeum’s board members, said in a press release that it’s not often biotech startups have paying customers 18 months after the company is formed, and it was the dedication to a software startup-style approach that interested him just as much as Akadeum’s disruptive technology. McNaughton says Akadeum, which currently employs a team of four people, will pursue a Series A round in 2016.